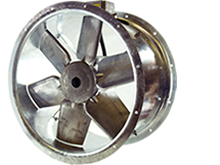 We can service and replace all commercial and industrial wall, floor, fish and chip shop, axial flow and circulation fans to ensure they continue operating safely and to their optimum performance. Working around your business opening times our team are always on hand. Keeping ventilation systems running to their optimum performance is achieved by regular servicing. Our technicians can replace fan units, carry out system checks and check air quality is maintained and upheld. At DuctAir UK we offer a service contract combined with certifying (cleaning) your whole system. Our 3 tier service plan below is designed so you can choose the level of service you require. Kitchen deep cleaning is essential for any food premises to achieve and maintain a positive hygiene rating from their local authority. As part of our cleaning services we can assist with cleaning of both premises and equipment to ensure a high standard is maintained. If this is something you are interested in or wish to discuss with us in more detail please contact us today through our website or call 0207 305 5908.